Angelique Kerber is a professional tennis player of German origin. Kerber is the highest ranked German player on the WTA tour and currently ‘world number six’. 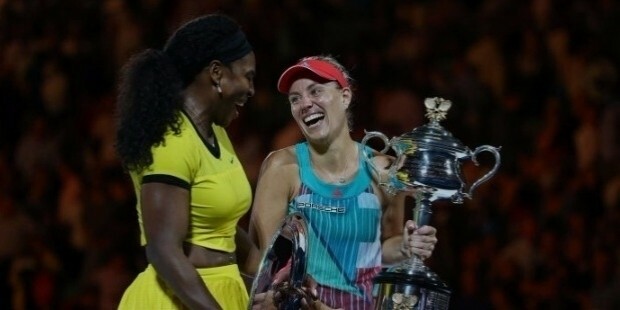 Anjelique Kerber won the 2016 Australian Open defeating ‘world number one’ Serena Williams. It is her first Grand Slam title! Kerber is predicted to reach the ‘World Number two’ position on February 1, 2016. She is the second German player to win a major title in Open Era, joining the likes of Steffi Graf. 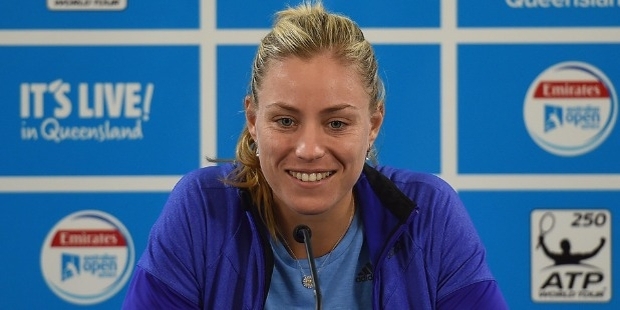 Angelique Kerber was born on 18 January 1988 in Bremen to Slawomir kerber and Beata. Her father is a Polish and mother a German-Polish. Kerber has a sister, Jessica. She started playing tennis at the tender age of three and by 15 years of age, she was playing professional tennis. Angelique Kerber made her debut in professional tennis at the age of 15. She was heralded into stardom with her first top 100 victory at the WTA German Open. Kerber won her first ITF title in Opole in 2004. Her spat of success continued as she won three ‘ITF titles’ and her first main draw victory at the WTA tour in 2006. Kerber made her debut in the Grand Slam in 2007. She bagged ITF titles in Spain and France in 2008. 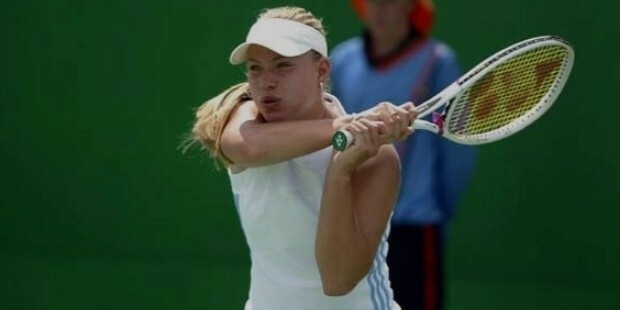 Kerber won a tournament in Pozoblanco, Spain on the ITF tour. Kerber qualified for the WTA tour final, Copa Sony Ericsson Colsanitas in 2010- her first! Kerber had her first taste of laudable success when she qualified for the semi-finals at the US Open in 2011. She reached the rank of ‘world number 34’ at the end of the tournament. Kerber represented her country at the 2012 Fed Cup and brought Germany its only win in the play-off. Kerber experienced success at the Open GDF Suez, grabbing her first WTA title in 2012. She went on to win the 2012 e-Boks Open in Copenhagen. It was no mean feat that Kerber qualified for the semi-final at the Wimbledon Championships 2012. Kerber ranked ‘number seven’ at the London Olympics 2012. She defeated Serena Williams in the quarter-finals of the Western & Southern Open 2012 for the first time. Kerber featured at ‘world number five’ at the end of the 2012 season. Kerber made it to the finals in Monterrey- her first in 2013! She bagged her third WTA title at the Generali Ladies Linz 2013. The year 2015 proved to be dotted with victories for Kerber. She won her fourth WTA title at the Family Circle Cup in 2015 and her first on clay! Kerber grabbed the Porsche Tennis Grand Prix. She won her first tournament on grass at the Aegon Classic. This was the first time she had won more than two titles in a season. Kerber kick-started her summer hard court season by winning at the Bank of the West Classic. She retained her position among the Top-10 as ‘world number 10’ at the end of 2015 season. Anjelique Kerber won the 2016 Australian Open defeating ‘world number one’ Serena Williams. It is her first Grand Slam title. Kerber is predicted to reach the ‘World Number two’ position on February 1, 2016. Kerber is the brand ambassador for Porsche. She is fluent in German, Polish and English. Kerber has won eight singles titles, which includes a title each if not more on every surface on the WTA tour. She has to her credit five titles at the Premier-level tournaments of Charleston, Stuttgart, Paris (indoors), Birmingham and Stanford; 11 singles and three doubles titles on the ITF tour.